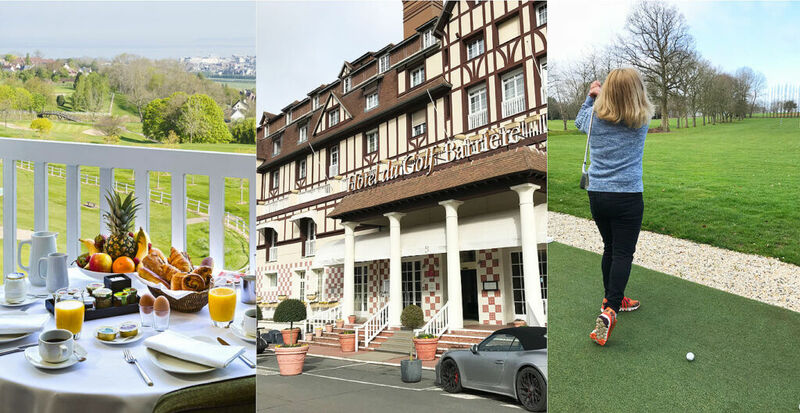 Gina Baksa tees-off in Deauville at a luxury spa and golf weekend – staying at the Hôtel Barrière l’Hôtel du Golf and the iconic Hotel Barrière Le Normandy. Just two hours north of often-snooty Paris is another, friendlier world: Normandy. Its D-Day golden beaches now the playground to more peaceful visitors. 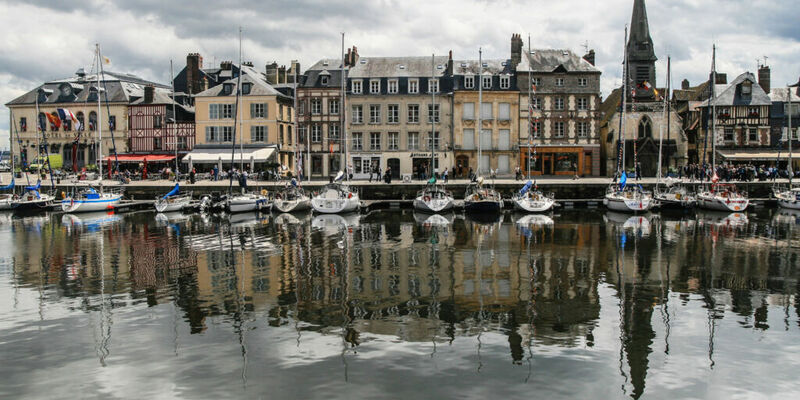 Picturesque Honfleur gets the Insta hits and Rouen is a must for history buffs, while sophisticated Deauville remains the glitziest resort on the coast. The town is an easy day trip from Paris and is a popular summer vacation destination. 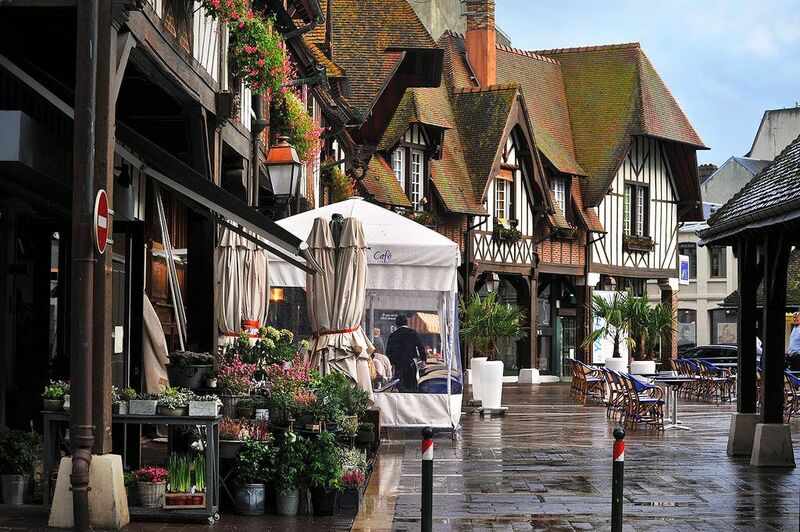 Deauville is the former fishing village that became an overnight hit once Napoleon III’s half-brother unleashed his entrepreneurial savoir-faire. Designed to attract the cognoscenti and wealthy, 19th-century Deauville soon boasted luxury hotels, horse-racing (1854), a casino and beautiful mansions for the Parisian elite. Fast forward a couple of centuries and the Deauville American Film Festival put the town on the world map, attracting Hollywood’s elite to its all-star showings. Now there are two marinas, three golf courses, and the Gold Cup Polo event – Deauville is a popular playground for the wealthy and influential. This is my first visit to Deauville and I’ve arrived via Eurostar from St Pancras, changing trains in Paris and heading to Normandy via Gare St Lazare. 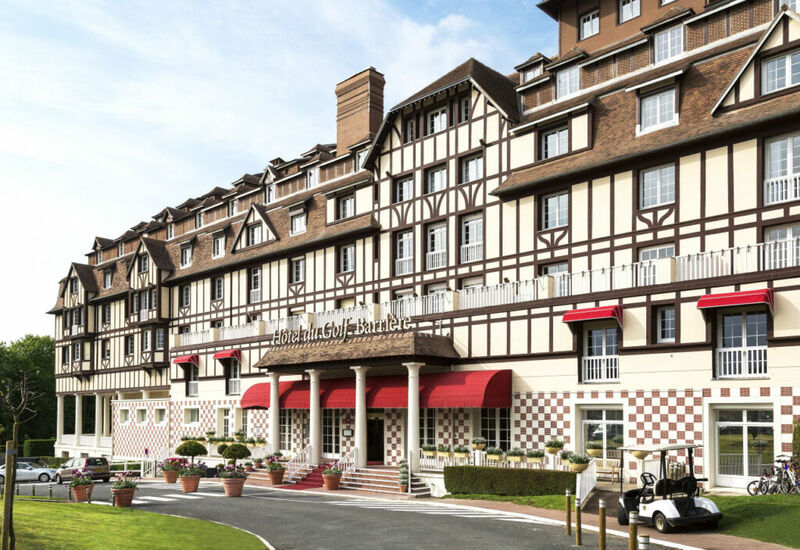 I’m staying at the Hôtel Barrière l’Hôtel du Golf: the prestigious hospitality and casino group also owns the Royal, Normandy, Deauville Casino and several restaurants including Le Ciro’s. En fait… Deauville could easily be renamed Barrièreville. Under the talented and astute eye of the late Diane Barriere-Desseigne – former CEO and matriarch of the family – the Barrière’s hotel and casino holdings underwent major renovation during the Nineties, bringing a more glamorous and updated aesthetic to the portfolio. Giant apples (Calvados and great cider hails from Normandy) and horse sculptures are a major decorative theme in the lobby of the Hôtel Barrière l’Hôtel du Golf – our destination for the weekend. 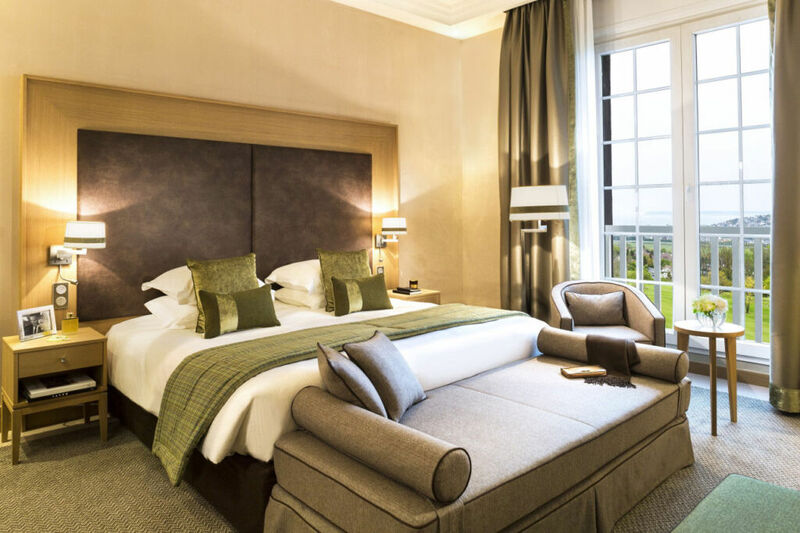 Now at the end of its three-year refurbishment with contemporary- heritage interiors from Chantal Peyrat (think Scottish tartans and Chesterfield sofas), the L’Hôtel du Golf stands sentinel on a hillside above Deauville in the middle of a spectacular 27-hole golf course. Indeed, my superior sea-view room is just above the manicured 18th and affords amazing views: I can spot the jetty of Le Trouville beyond the Hippodrome race course and Deauville Casino. And beyond that the port of Le Havre. This is a quiet oasis that feels in the middle of the countryside, yet is just a five-minute drive from town. Offering 171 rooms and 11 suites, it’s the perfect destination for golfers. My room is calm and warm: a palette of sophisticated ochre and grey alongside wood and black granite – with a superbly comfortable bed. Best of all the huge picture windows actually open and I enjoy the breeze; a welcome change from the usual headache-inducing aircon. Thoughtfully I’ve been given a bottle of Cidre Bouche and a whole banana loaf to wolf down.